Hello Friends, it’s lovely to have you visit again! 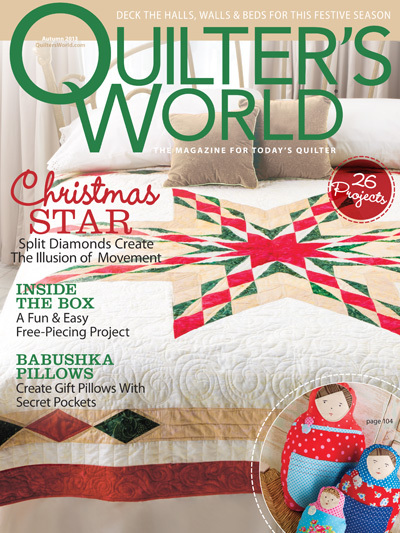 Today, I am sharing with you my “Christmas Cheer” table runner that is featured in the Autumn 2013 issue of Quilter’s World. This “inspired by old ceiling tiles” table runner uses template piecing method in its construction. 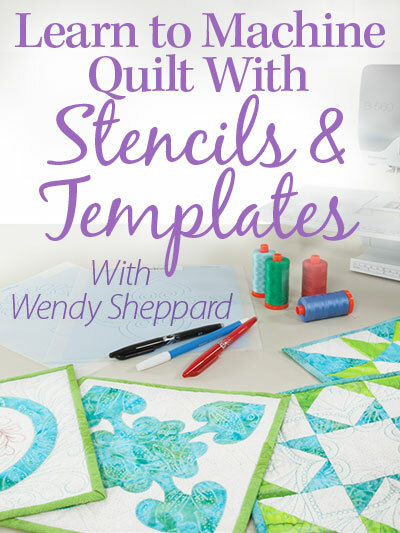 If you have never tried template piecing, this is a small enough project for you to attempt the technique. The fabrics I used are from RJR Fabrics’ Claridage Manor collection. Click here to view the entire fabric range. The fabrics are presently current. 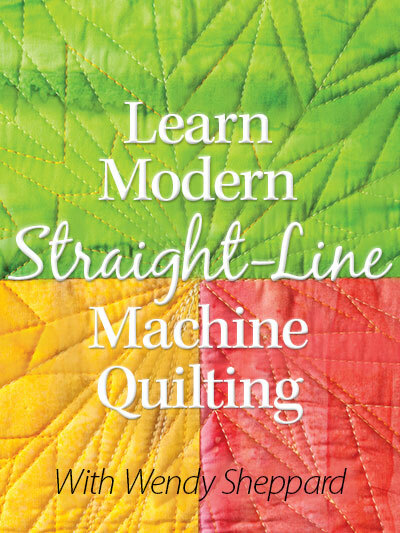 Look for them at your local quilt shops. 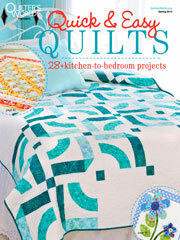 Alternatively, you should be able to locate them online at www.quiltshops.com. 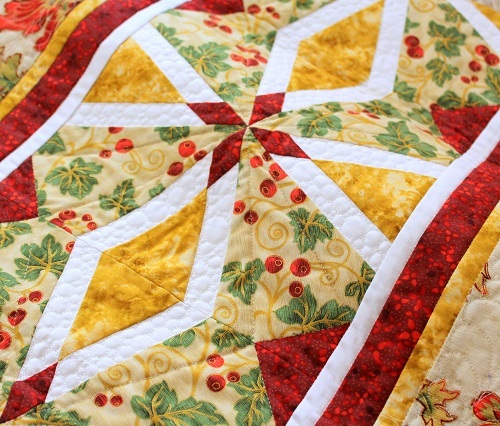 I pieced and quilted this table runner with Aurifil Mako 50 cotton thread. I share with you often I use Aurifl Mako 50 cotton threads to quilt my quilt, but I actually also use the same threads to piece and applique 98% of my quilts. The batting I used is Hobbs Tuscany Silk batting. 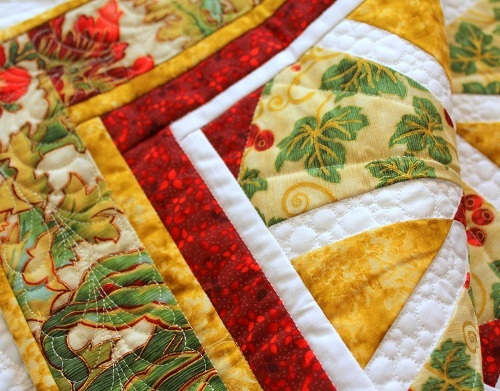 The quilting is a mixture of straight line quilting, pebbles, and feathers. Now, nosy mind wants to know if you fancy looking at old ceiling tiles too when you are out and about. Thanks for stopping by. I always enjoy reading about what you think – let me take this opportunity to thank you again for your comments. And I am glad I squeezed in all my “Christmas in July” posts before July ends. I find it hard to believe July is just about over…. p.s. My workload is still crazy, but I am starting to see the light at the end of the tunnel. Have you spotted my other 2013 published projects? 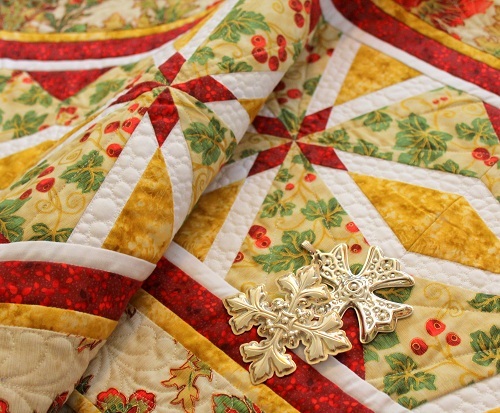 This entry was posted in Christmas, Quilt Pattern, Quilting, Quilts & Projects: Published and tagged Christmas Home Decor, Christmas Table Runner, Christmas Tablerunner, Quilter's World Autumn 2013, RJR Fabrics Claridge Manor, Wendy Sheppard Designs. Bookmark the permalink. 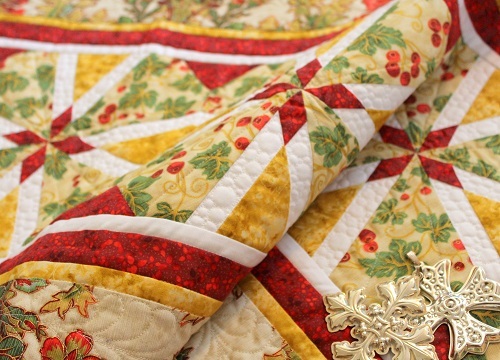 ← Blog Hop: Celebrating Christmas in July with Benartex/Kanvas & Giveaway! Happy to hear about that light at the end of the tunnel for you!! No I don’t look at ceiling tiles but look at floor tiles! Lovely!! I look at ceiling and floor tiles. I’ve been lucky enough to see many old buildings with great tin ceilings! It’s always so interesting to hear how you get your inspiration. Thanks! 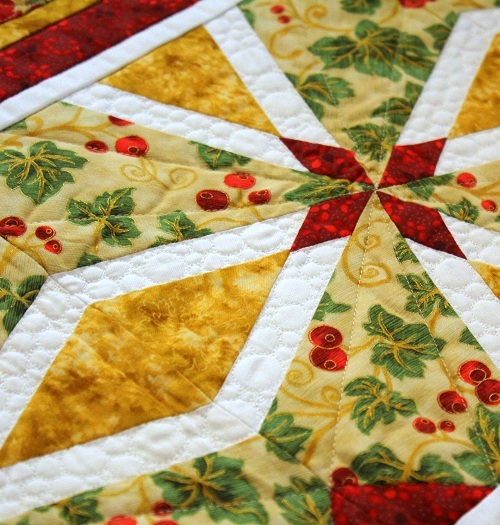 I LOVE this, Wendy…it is so beautiful..the red is so brilliant next to the other fabrics and the pattern is stunning!!! I love everything about this table runner. Fabrics are beautiful. It is definitely a winner. Seems as though I check out ceiling tiles, floor tiles, carpeting, even upholstery. It is amazing the patterns that can be found everywhere. I saw it in my magazine and it is really lovely. You did a fabulous job on it, Wendy. OH Lovely! I am so far behind in my quilting a dare not take on another project. I thought I was done w a donor quilt, but decied it needed another row…. 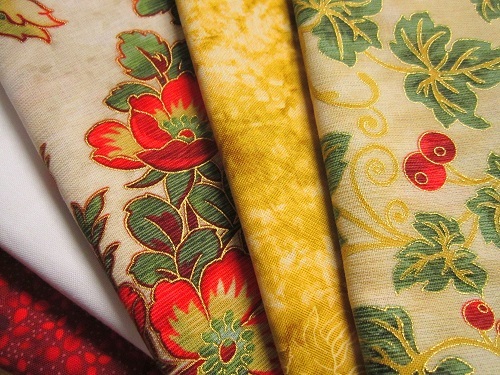 I purchased some of the tuscany silk for a quilt I haven’t been working on in a few yrs! (OMG YES) how does it quilt, is it hot at night, heavy? it seems light. Just want you to know how much I enjoy your blog. It seems impossible that we are already thinking Christmas. I live in California’s San Joaquin Valley and it is a balmy 98 degrees today-down from triple digits! This is lovely, Wendy. You always know how to use these fabric collections to best advantage. Pebbles and feathers are things I’ve been working on lately for FMQ, so it’s fun to see just those two designs used so effectively on this piece. As for the Aurifil… I switched to piecing with Aurifil fairly recently after recommendations from NUMEROUS quilting authors, Bernina educators, and blogging quilters such as yourself, and I’m really loving it… But just read in Harriet Hargrave’s Academy of Quiltmaking Book One that it’s a terrible thread for piecing, not strong enough to hold a seam over time, and you should only use 50/3 cotton or 60/3 Prescencia thread for piecing unless you want your quilt to fall apart before your very eyes… I don’t see how there would be much difference between the strength of a 50/2 versus a 60/3 thread, do you? 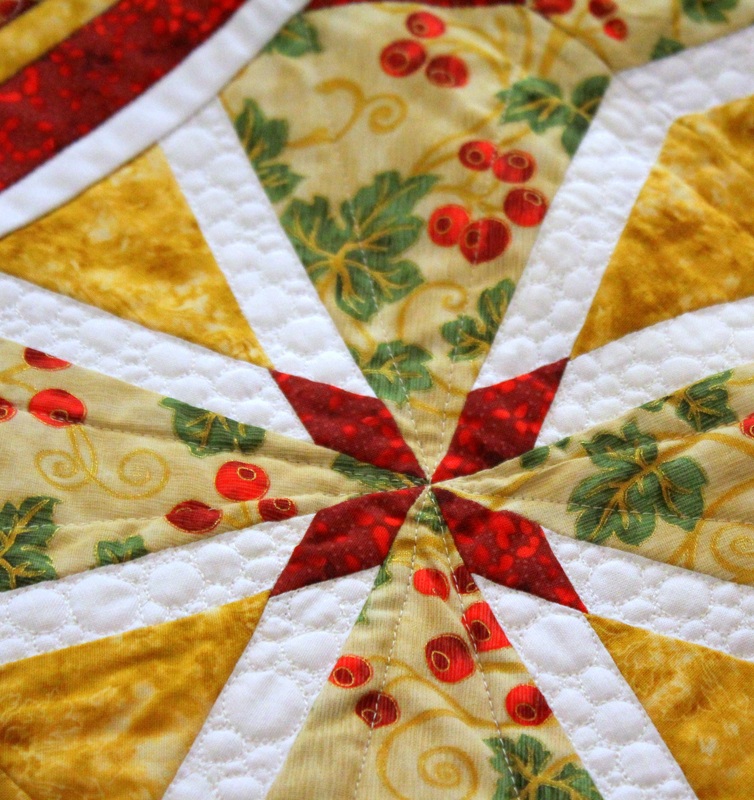 And I don’t feel like there is any stress on piecing seams at all once a quilt is properly (heavily) quilted. 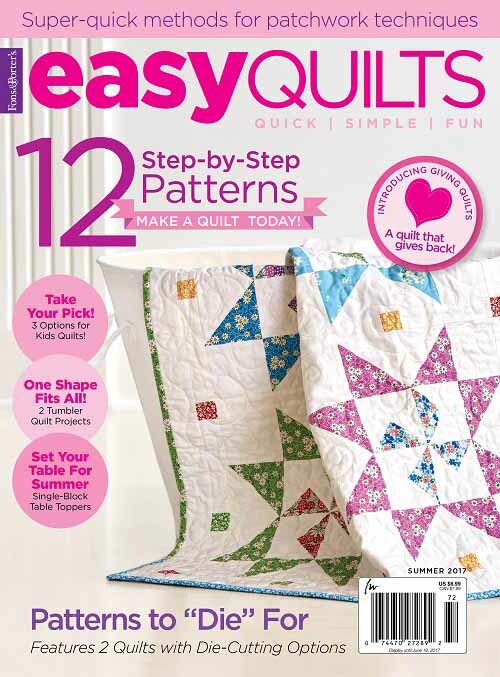 I know that there are as many different ways to do things as there are quilters out there, but it’s frustrating to get completely contradictory advice like this. Saw your beautiful work in the magazine too. 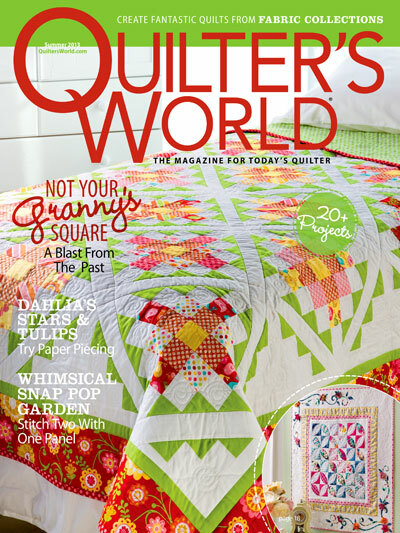 Discovered that a lot of ladies in my quilting group know your work and the compliments…oh my! I do like to look at old ceiling tiles and medallions and such. I love the extra details. 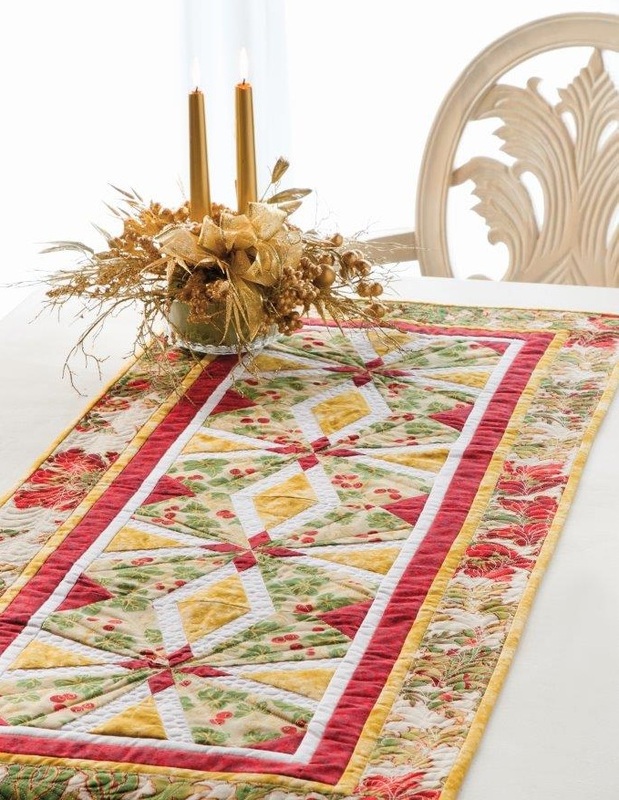 The table runner is pretty! I, too, like to look at ceiling tiles! Also, I love to visit historical homes and history museums. Ideas are everywhere!! The runner is beautiful Wendy…. And “yes” I look at the ceilings, floors, scrollwork, doors…. Architecture in general for inspiration. My friend and I recently used a design on a piece of silverware for inspiration! Wendy, I think your work is fantastic, you are the only blog that I still subscribe to, and I look forward to it every Monday. Regarding usng back material, I try to match at least the colors. I also made several a backs with in the middle one of the front quilt design, or use different fabrics left over from the quilt and make a backing piece out of it. 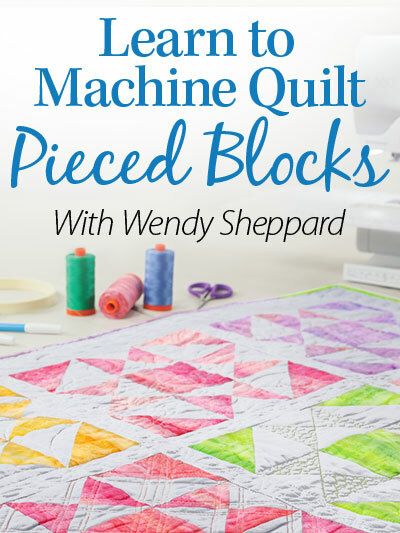 It is a great way to using your statsh, or big pieces of the left over project pieces. I hope this makes sense.